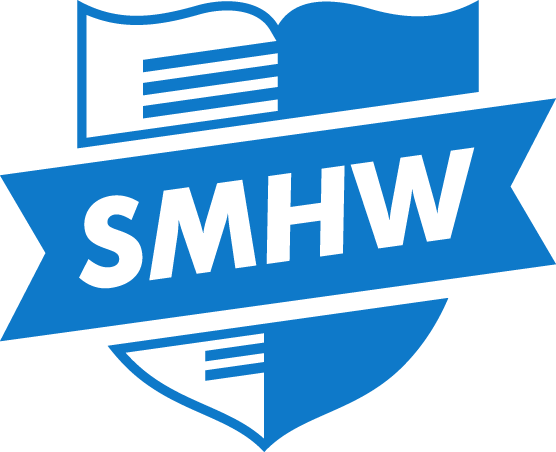 All items can be purchased from our suppliers: SWI Schoolwear and Essential Schoolwear. To purchase GCSE Drama and/or GCSE Dance uniform please visit Total Clothing. Please note that skirts and trousers, if purchased elsewhere, should resemble those sold by our suppliers. Blue College polo shirt (Grey for Prefects). Any garment worn under the polo shirt must not be visible whether the shirt is worn buttoned or unbuttoned. Grey College sweatshirt (Black for Year 11). The College sweatshirt must always be worn as the next layer over the polo shirt, when one is required. These should be plain black, full length and of a traditional school uniform style. They should have no logo, patch pockets, studs, decoration or distinctive belt. Jeans or jean-style trousers are not acceptable. Tight-fitting, stretch, skinny-style or excessively wide trousers are not acceptable. These should be ankle length and in grey or black. Shorts should be plain black, to the knee and of formal style. They should have no logo, patch pockets, studs, decoration or distinctive belt. Jeans or jean-style shorts are not acceptable. Tight-fitting, stretch, skinny-style or excessively wide shorts are not acceptable. These can be worn in the summer term only. These should be ankle length or trainer socks and in plain black. Two styles of skirt are permitted, of the same design and fabric as that available from our on-line supplier. This is a plain black skirt of polyester-blend, non-stretch fabric, straight cut, with one small kick-pleat at the back. It should not be tight fitting and should be towards the knee in length. This is a black skirt of polyester-blend, non-stretch fabric, fitted from waist to hips and pleated below. It should be worn towards the knee in length. These should be flat and all black with no contrasting logos or symbols. They should be of a traditional style and suitable for movement around a large, busy school. They must be able to be securely fastened, and worn accordingly. Boots, open sandals and high heels are not acceptable. Canvas /fabric shoes are not acceptable. If worn these should be black or neutral and un-patterned. Leggings or footless tights are not acceptable. The only jewellery allowed is one small, plain stud in the lobe of each pierced ear. Nose studs and other facial piercings are not acceptable. Extreme haircuts as judged by the College are not acceptable. Shaven heads or any haircut which involves the shaving of lines or symbols, extreme coloration or particularly noticeable variations in colour or length will almost certainly be judged as extreme. Foundation products and mascara may be worn discreetly. Natural-coloured nail varnish is allowed. Eyeliner, eye shadow, and false nails are not acceptable. Name badges are issued to all students upon entry to the school and are worn on the front of the jumper, opposite to, and level with the school badge. This is a compulsory part of the uniform. When travelling to and from school and when outside the school building, students are allowed to wear all items of outdoor clothing, including coats, jackets, hoodies, scarves, gloves and hats. None of these should have inappropriate slogans or logos. These should be removed before entering the building.